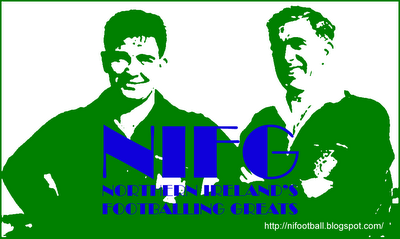 Representative Honours: Ireland: 6 Full Caps (1935-1938); Irish League: 1 Cap (1935). Club Honours: (with Derry City) City Cup Winner 1934/35; North-West Senior Cup. Leeds United manager of the 1930s, Billy Hampson seemed to have predilection for young Irish talent, and one of the first he brought to Elland Road was Derry-man Bobby Browne. Browne had been groomed for greatness by Derry City manager, Billy Gillespie and it was while representing the Irish League against the Football League that he gained the attention of English scouts. It took a £1,500 fee to prise the talented wing-half from Foyleside in October 1935, and he went on to make well over a hundred appearances in the Leeds first-team. Browne, who had grown up more familiar with the Gaelic code, had been a member of the Derry City side that claimed their first major honour - the 1934/35 City Cup. He was never assured of his place at Leeds, but was capped six times during his stay at Elland Road, the first just weeks after arriving in Yorkshire. During the Second World War Browne continued to make appearances for Leeds when available, and also guested for Watford and Colchester while stationed as a PT instructor at Colchester Garrison. 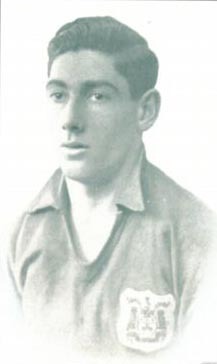 When the Football League resumed in 1946 Browne was 34 years-old, and he played one more season with Leeds before finishing his career with York City. Later Bobby Browne joined the coaching staff at Halifax Town, and was briefly caretaker manager in October and November 1954. Summary: 6/0. Won 2, Drew 0, Lost 4. With thanks to Graeson Laitt for the Colchester United data.